Applications are invited for a PhD position in european law to join University of Amsterdam, Netherlands. Successful candidate will have funding to work and study for 36 months in Netherlands. This position is closed on January 25, 2019. The University of Amsterdam's Law School prides itself on its international orientation and strong social commitment. This is reflected by both its research and educational activities. The Amsterdam Law School offers three Bachelor's programmes, including the interdisciplinary English-language Bachelor Politics, Psychology, Law and Economics (PPLE) in cooperation with two other Faculties, as well as a variety of Master’s programmes, several of which are taught exclusively in English (i.e. International and European Law, European Private Law, International Criminal Law, and Law & Finance). 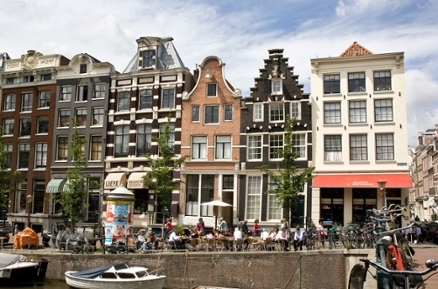 The Amsterdam Law School prepares students for a wide variety of legal careers including law firms, government, business and industry, the national and international judiciary, public service, human rights advocacy, and academia. With 3,700 students and over 400 staff members, it is one of the largest law faculties in the Netherlands. In May 2019 a five year research project will be launched, entitled 'Homo Juridicus, Correcting Law's Behavioural Illiteracy'. The research project is directed by Benjamin van Rooij, professor in Law and Society, and is financed by the European Union, European Research Council (ERC), by means of a consolidator grant. The project seeks to develop a behavioural jurisprudence that makes the law's behavioural function in shaping future conduct central. To do so it empirically studies assumptions that selected lawyers (prosecutors, regulators and corporate counsel) have about how their work shapes behaviour. It compares these assumptions with available scientific knowledge to unearth and correct the biases and flaws in how lawyers think about behaviour. The project will be embedded within the Faculty of Law's Amsterdam Paul Scholten Center for Jurisprudence. For this research the Amsterdam Law School is seeking three PhD candidates. This vacancy is for PhD project 1. PhD project 1 will focus on the behavioral assumptions of lawyers in Europe, with a preliminary focus on the Netherlands, France and Belgium. It focuses on prosecutors, regulators (tax, environmental and securities) as well as corporate compliance managers. The PhD researcher will operationalize this research and work with the two other PhDs, a Postdoc and the PI to develop the survey instrument that is to be used in all three projects. The PhD researcher will carry out 12 months of fieldwork in selected locations in the EU (most likely in the Netherlands, France and Belgium) and with the help of the PI will develop a network of contexts that allow access to the lawyers studied. The PhD researcher will do qualitative and larger scale survey interviews with these lawyers to assess their behavioral assumptions and to compare these with existing scientific knowledge that has been summarized in a different project by the PI and the Postdoctoral researcher. The PhD researcher will then code and analyze the data and use it to develop papers that will culminate in a PhD dissertation. In developing papers, the PhD researcher will collaborate with other team members. The successful candidate will be offered an initial contract for 12 months. Upon positive evaluation of the PhD students' performance the contract will be extended by 36 months. The gross monthly salary will be in accordance with the salary scales for PhD candidates at Dutch universities, scale P (Collective Labour Agreement ofDutch Universities)ranging from 2,325 to 2,972 gross per month (full-time equivalent). Secondary benefits at Dutch universities are attractive and include 8% holiday pay and an 8,3% end-of-yearbonus. Short-listed candidates may furthermore be requested to provide their reflections on the research topic. You may send your application, preferably in one PDF file, to the Selection committee using the link below.